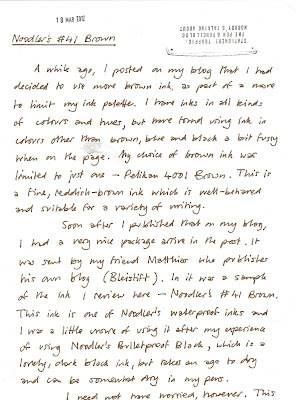 Also posted on the Fountain Pen Network. I've just retired my two Lamy Safaris, probably never to re-ink them. This is a pen I really wanted to like, and have ended up buying four of them, including two for my children, but have found that it's just not for me. Lamy produces a range of pens with some outstanding designs, such as the famous Lamy 2000, or more modestly, the Tipo. I don't have a problem with modern design; I can use the Safari quite happily with its odd nib section grip. I like the size of it, and the chunky barrel. The fact that the cap pops off and on is a plus for me, as I prefer that to screw-on caps. I like the fact that it is available in a range of colours, or even no colour (the Vista). I even quite like the thick wire clip. But what I dislike most of all about the Safari is the deal-breaker: the nib. For me the heart of the fountain pen is the nib. I have tried a variety of nibs for my Safaris, and all of the nibs I have tried have been unsatisfactory to the point of irritation. 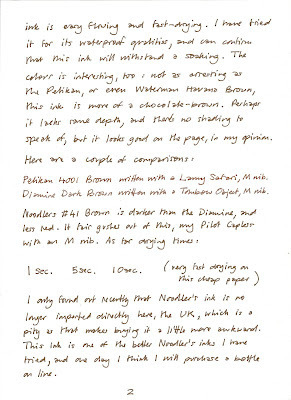 My first Safari was a black model with a B nib, which was rough and did not seem to give the broad line I was after. Perhaps it was a dodgy example? So when I got the next one, I ordered an EF nib. I replaced the B with the EF and everything seemed fine...but then I noticed how scratchy the nib was on the paper, and the fact that the line was very slightly uneven - like a stub but in miniature. I realise that fine nibs are at risk of being scratchy, but I have used enough Japanese pens to know that it is not inevitable. But the unevenness of the line was enough to put me off. I have also tried the M nib which is standard on the Safari. The line is even and looks good on the page, but the smoothness is still missing. It's at this point that I give in. 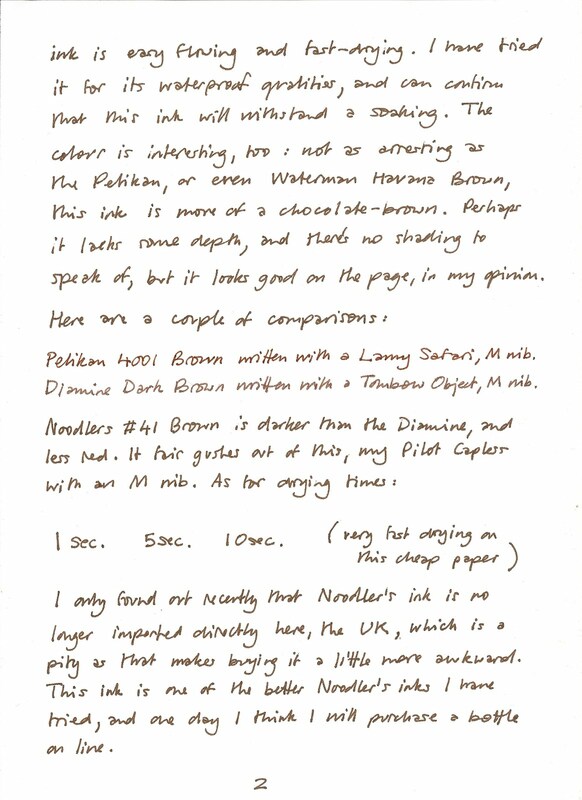 I could have ordered one of their famed italic nibs such as the 1.9mm, but to be honest I can't be arsed. 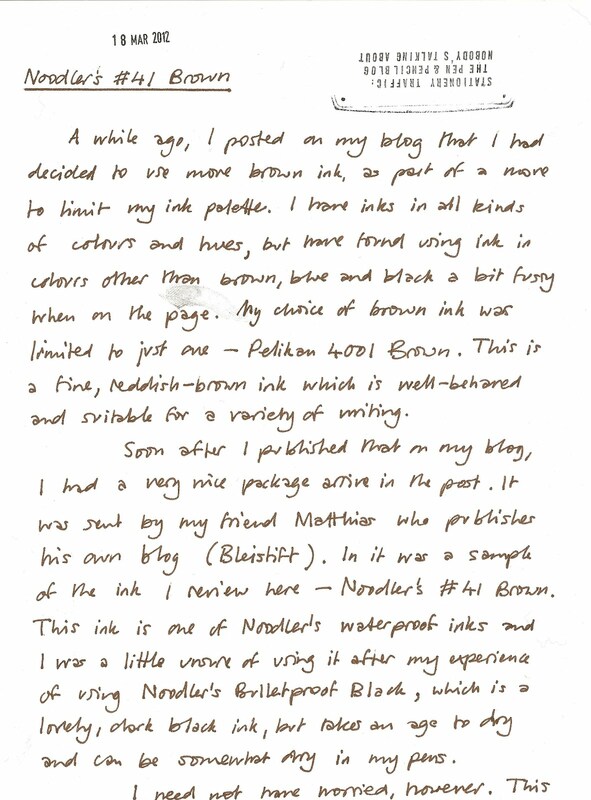 For the price of getting the nibs smoothed I could buy a few Pilot 78Gs, a type of pen which, although more traditional in shape, much smaller and with a screw-on cap, offers a much more enjoyable writing experience. I know the Safari has lots of fans, and I've probably alienated those who may read this. It is a classic design, but not one I can use: rather, it's one I can admire from a distance. 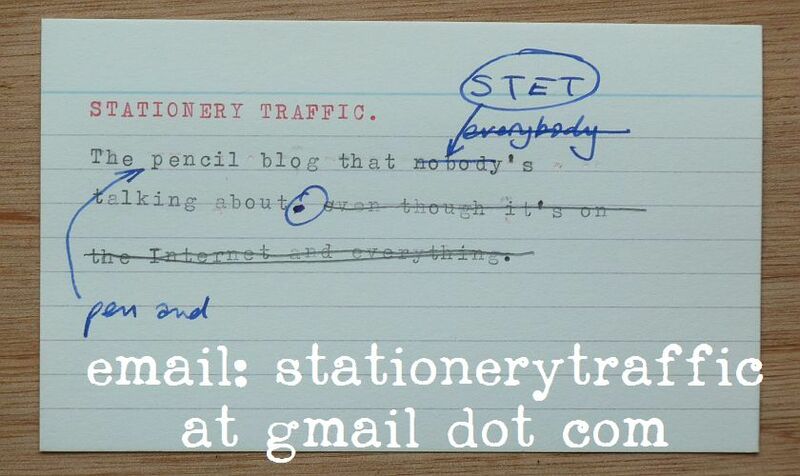 The Graun's Lucy Mangan has come out of the cupboard as a stationery fan in an amusing article published online here. (I have posted a comment under the article which is awaiting moderation as I type this.) She has also put together a programme for BBC Radio 4 called The Stationery Cupboard, which is broadcast in the UK on Friday, 2 March at 1100 UTC. I hope to check out after work tomorrow.